How to Watch 2019 Oscars Online Without Cable: Watch Your Favorites Win! The movie industry gets brought to life around the start of the year as the buzz around the Oscars grows. Perhaps one of the most prestigious awards for the entertainment industry, we’re also eager to watch the event this year, and we’re here to help you watch 2019 Oscars online. The first time the Academy Awards, popularly called the Oscars, were awarded it was 1929 and there were under 300 people present. Nowadays, it’s a much larger affair. The 91st Academy Awards Ceremony will take place in the Dolby Theatre in Hollywood, Los Angeles, in California, on February 24th, 2019. The show will start at 8 PM ET. Although the event was supposed to be presented by Kevin Hart, a bunch of homophobic tweets from his past resurfaced, so the actor turned down the offer (as in, the offer was likely revoked). Despite efforts from multiple areas to get the Academy and Hart to change their mind, it seems that there’s no going back on this decision. Now, the show will go on without a host, which hasn’t happened in decades. The Oscars are watched across the world, which means there are a lot of broadcasters that will also share the footage online. Depending on where you live, you may be able to find a local channel that also streams online. 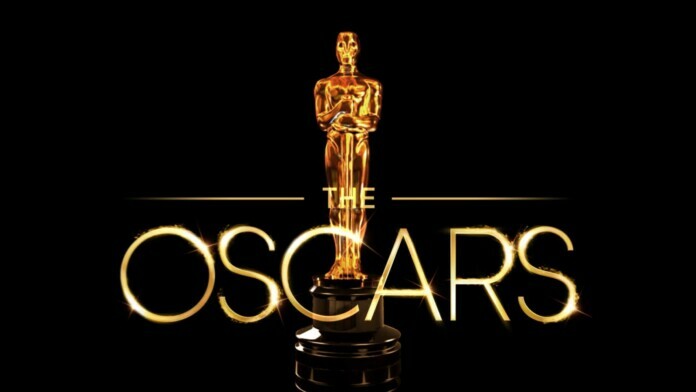 You can check out a full list of broadcasters for the Oscars. For instance, in the United States, ABC has the rights, while in the UK they go to Sky and to Nine Network in Australia. There are numerous ways one can watch the Oscars online this year, including with the help of live streams from the channel that has broadcasting rights, namely ABC. In order to log onto the site and enjoy the live stream, however, you’re going to have to sign in with your credentials which you can get from your cable provider or from your streaming service. For the latter, however, it makes more sense to just load up the platform and seek the channel directly. Now, the problem with these two ways of watching the Oscars is that if you’re out of the country for any reason, you won’t be able to watch any of it. That’s because the sites and platforms are geoblocked, meaning that no one outside the United States can enjoy the streams in any way due to licensing deals. As unfortunate as the situation is, there is a way out – a VPN. Geoblocks work because the site reads a visitor’s IP address, which, in turn, gives out that person’s location. Since VPNs will route your Internet connection through their own servers, assign you a new IP address to match the location of the said server, and use encryption to hide your real IP, you’re good to go. If you don’t already have a VPN, we strongly recommend getting ExpressVPN, which is a tool we’ve tested numerous times over the years. It comes with tight security, thousands of servers to choose from, privacy, and some great perks. So, here’s a quick guide on how to unblock these sites and platforms so you can watch the Oscars online from outside the United States. The first thing you should do subscribe to ExpressVPN, download the app and install it. Then, you can go ahead and sign into the app when you launch it. We strongly advise you against using “free VPNs” off the Internet, because you risk your privacy and your security. Then, you have to choose a US-based server and connect to it. The process only takes a few seconds to complete. Load the site in your browser or the streaming service, or launch the dedicated app on your device. Enjoy the Oscars with the rest of us! One of the ways you can watch TV channels is by getting a subscription with a streaming service. There are plenty of these, especially in the United States where cable contract prices go quite high, and you can easily enjoy them. The beauty of this type of services is that you can watch content wherever you may go, as long as you have an Internet connection and a compatible device. That being said, we can go ahead and check out these five ways to watch the Oscars live Online. First up on our list is Sling TV. The service offers quite a long list of customizations you can make. First, however, you have to pick one of three starter bundles before picking extra channel packs based on your interests, as well as premium networks. The thing is that Sling TV manages to offer such low bundle prices because it doesn’t feature a lot of local channels. CBS, ABC, NBC, Fox, and others are missing. ABC used to be part of a specific bundle, but it was only available in select cities. 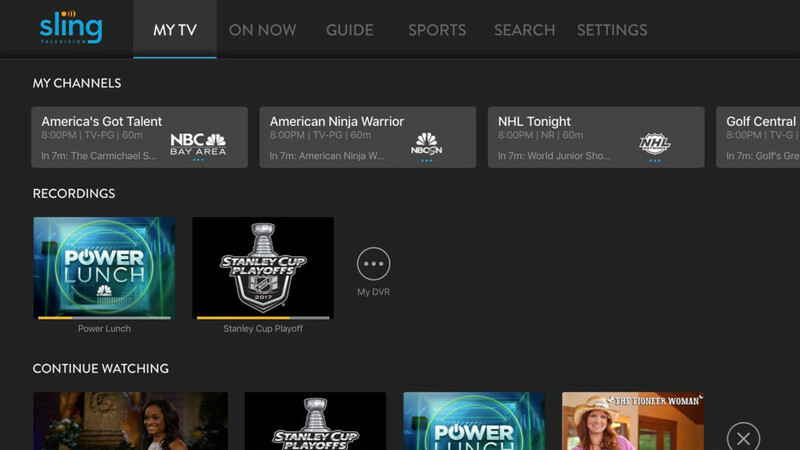 What Sling TV proposes, however, to help users watch the local version of these channels, is to get a free indoor antenna. These would allow users to receive local programming from networks such as ABC, CBS, NBC, and Fox. The “price” of this free antenna is pre-paying for two months of Sling TV, which frankly isn’t that much. In this way, you can mix two great deals – a free antenna and the freedom that comes with online streaming services. So, when subscribing to Sling TV, don’t forget to pay for two months, regardless of which bundle you end up starting with. When using Sling TV, you should know that users get no cloud DVR space included with their subscriptions, but you can add enough space to record some 50 hours of content for $5 per month. When it comes to simultaneous streams, things get a bit weird because Orange subscribers get access to a single stream, while Blue subscribers get three. You can watch content on four devices at once with the Orange + Blue Bundle. Read TechNadu’s Sling TV review for more info. Next, we have Hulu, which is better known for its video-on-demand service. 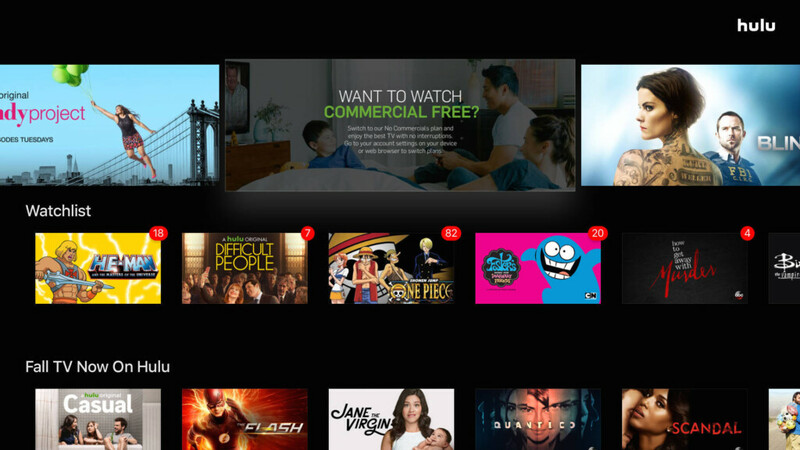 For a while now, there’s also been a live TV plan that offers users access to dozens of channels. There are also a couple of extra channel packs you can get to customize your subscription more or premium networks. The list of channels available on Hulu includes access to ABC so you can enjoy the Oscars quite easily. So, when subscribing to Hulu, it’s pretty easy to find the right channel for the Oscars’ night. Hulu subscribers are offered 50 hours of cloud DVR space from the get-go, and they can always upgrade to 200 hours by paying $14.99 per month. Users can also enjoy watching content on two devices at once. The “Unlimited Screens” feature, however, which also costs $14.99 per month, can lift that cap completely when on the home network, and set it at three simultaneous streams while away. Make sure to read our Hulu review for more details on what the service has to offer. Another option is to get YouTube TV. Coming from tech giant Alphabet Inc, YouTube TV offers a single bundle of channels, seemingly hoping to have figured out exactly which channels people want to watch. The only way to customize your experience is to add some premium networks to the mix. Thankfully, ABC is also part of the list of channels offered by the service, so you’re all set to watch the Oscars this year if you subscribe to the platform. 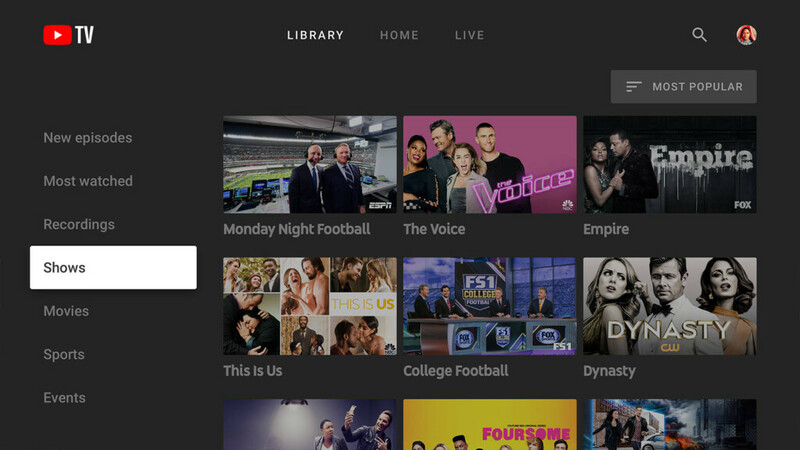 If you think you may miss the show or part of it, you can have YouTube TV record it all for you to the cloud, as subscribers get unlimited cloud DVR space. Plus, the recordings expire after nine months, so you have plenty of time to watch them all. The platform further supports three simultaneous streams, so everyone can watch whatever they want, whenever they want. Give our YouTube TV review for more info before making a decision. Up next, we have DirecTV Now, which is another great platform, offering a diverse collection of channels. First, you have to pick one of five bundles, before adding premium networks, extra channel packs, or even international bundles. Thankfully, ABC is present in all five bundles, so you can pick whichever one you like best or fits your monthly budget better. In this way, you’re surely going to be able to watch the shows you want, including the Oscars. When subscribing to DirecTV Now, we recommend picking Go Big or Gotta Have It because they have the most channels in the bunch. DirecTV Now users get to enjoy 20 hours of cloud DVR space, which isn’t much. Even worse, however, is the fact that you can’t upgrade in any way. The service allows users to watch content on two devices at once, but a third can be added for $5 per month. Our DirecTV Now review is ready so you can learn more about it. Following next, we have PlayStation Vue, which is one of the best platforms we’ve encountered, managing to get the highest score among all live TV streaming services we reviewed. There are four bundles you can pick from, and then you can add premium channels or extra channel packs to the mix. 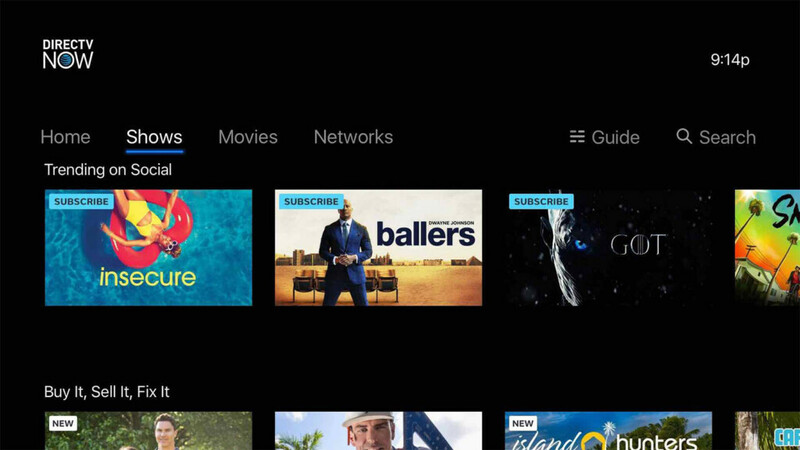 Making it quite easy for you, PlayStation Vue offers ABC in all of its bundles, so you can pick whichever one you like best. If we were to choose, we’d go for Elite or Ultra when subscribing to PlayStation Vue, with the mention that the latter features premium networks. The service further offers subscribers enough cloud DVR room to record 500 programs, although they do expire quite fast, so you might not even hit that cap. On PlayStation Vue, users can watch content on five devices at once, which makes it quite impressive. Furthermore, since it’s only on PlayStation Vue that we’ve noticed this feature – you can split your screen in three and watch different programs at the same time. 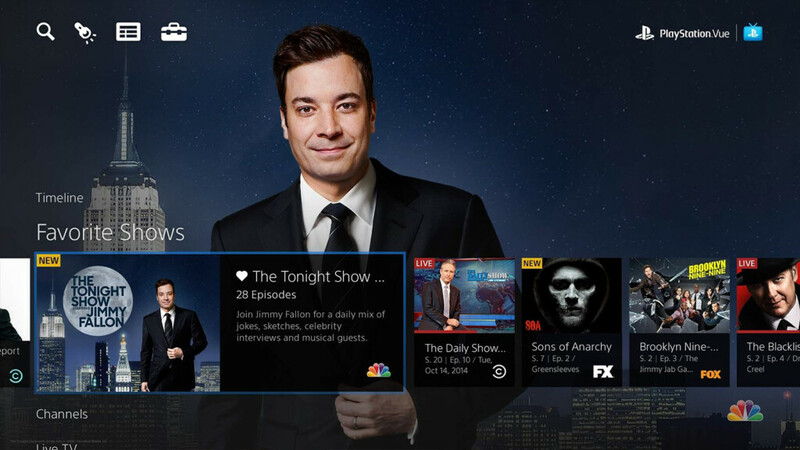 Give our PlayStation Vue review a read before moving forward. No one. Yes, it’s going to be one of those odd years when no one actually hosts the Oscars. The Academy initially wanted to bring in Kevin Hart, but after a bunch of old tweets resurfaced, the actor backed out of the agreement. Many still believe the Academy will still appoint someone to host the show, but they might just skip the whole thing. In 1989 another Oscars ceremony was without a host. Who Hosted the Oscars the Most Times? Bob Hope. It is quite likely that no one will ever host the Oscars as many times as Hope did – eighteen times! Bob Hope was an American stand-up comedian, actor, singer, dancer, author, athlete, and vaudevillian. He was born in 1903 and died in 2003. Billy Crystal also hosted eight times and Johnny Carson five times. What Is the Movie With the Most Nominations in 2019? The favorites for the 2019 Oscars race are The Favourite and Roma, each with ten nominations. A Star Is Born and Vice each got eight nominations, while Black Panther got seven. You can check out the full list of nominees here. What Time Does the Red Carpet Show Start? Much like the Oscars attract a lot of viewers, so does the Red Carpet Show, as everyone wants to see what Hollywood’s biggest stars will wear. The show starts at 6:30 PM ET. Everyone wants to watch the Oscars, and we get why – the fabulous evening wear, the jokes, the celebrities. Plus, you can always play a family game of “bet who wins” and see if your favorites take home the golden statues. Let us know which service you ended up picking and what made you choose it. Write it all down below in the comments section, and please share the article online if you have the time. Follow TechNadu on Facebook and Twitter to get the latest news.